Back in the early 00s whiny music sung by men in guyliner was what we were all listening to. In 2017 it's risen again in the form of Emo Trump, a style that's particularly suited to the POTUS' petulant attitude seen in many of his moany tweets.It's these sullen 140 character exclamations that formed the basis of a very funny emo Trump song by Super Deluxe. 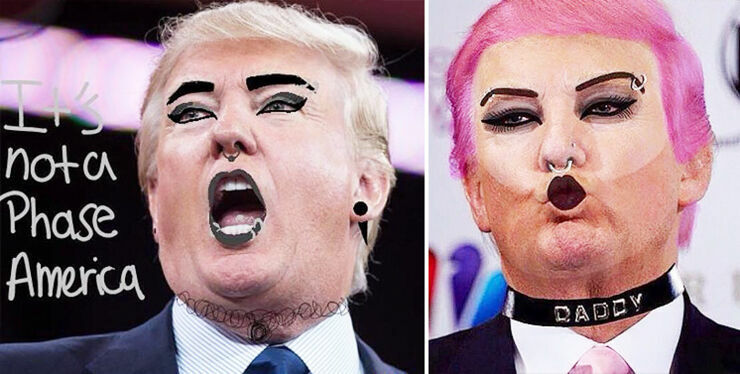 They released their first Emo Trump creation to the internet world back in February. Super Deluxe are an entertainment company who specialize in hilarious offbeat internet mashups, they took the president's tweets, added some music and turned them into totally believable lyrics to an early 2000s emo track. And now they've created a new manifestation of Emo Donald Trump, but instead of using his tweets they've taken it to the next level and used his speeches. 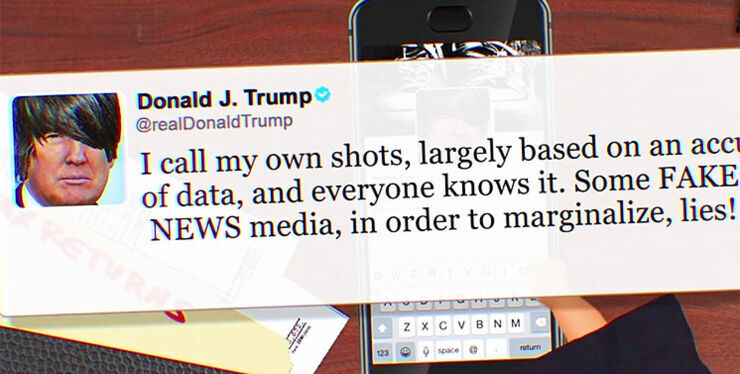 "We thought Donald Trump's tweets were as sad as it gets," exclaim Super Deluxe. "Until we turned his speeches into an early 2000s emo song." Using actual quotes from Trump's speeches and press appearances over the last 12 years, Super Deluxe edited them together into a song that's actually not bad on the ear. "I am being viciously attacked with lies and smears,' the song starts, which is a line Trump said at a rally in North Carolina in October 2016. "I think it's a disgrace—and I say that, and I say that." Emo Trump continues. With that particular line coming after he won the presidency, when he accused US intelligence agencies of acting like Nazi Germany. Other lines see him accusing the media of being "so corrupt" and writing lies, while also saying the country is going to hell. It's all so perfectly emo. And the song is entirely fitting not just with the president's grouchy persona, but also with the fact that after 100 days in office his approval ratings are the lowest of any president ever at this stage of their presidency. So feeling sad and like an Emo Trump seems like it's totally relevant. But more than that it's entirely hilarious.